The ball started rolling with Mavuthela – The Sound of the Sixties, shared at Matsuli in September 2009. This was followed up with a second installment, Classic South African Jive, shared here at ElectricJive in May 2010. We are only too happy to share whatever music we can; music that we feel deserves to be heard again… music that doesn’t deserve to be locked up in a dusty archive… music that stirs your emotions… the list goes on. That is precisely why we share what we share, and it is also why the third compilation focusing on the music of the Mavuthela Music Company is making its way to EJ readers today. Jive Smodern Jive! – a 30-track tribute to Mavuthela’s talented instrumental team. Whereas the previous two compilations featured a healthy mix of vocal and instrumental jive, the attention has been put solely on the latter this time round. One can never underestimate the talents of the individuals who were contracted to Gallo’s Mavuthela stable, but the Mahotella Queens, Izintombi Zomoya, Mahlathini, Abafana Baseqhudeni and all the other Mavuthela vocal stars certainly owe a great deal to the men in the background. The guitar virtuosos and sax stars were responsible for a large part of their success. Marks Mankwane, the guitar wizard affectionately called “umthakathi” around the Gallo studios, features on almost every track. His astonishing skills are displayed to perfection in Bela Bela No. 2, with an all-too-brief (though perfect) guitar solo. Joseph Makwela’s thundering bass forms a solid and elastic foundation for many songs here including Pheladi and Matamato Jive Matamato, two tracks in which he unashamedly takes the spotlight. Mankwane’s lead and Makwela’s bass sit perfectly alongside Vivian Ngubane’s bouncing rhythm guitar (check out Jive Smodern Jive B 5 and Ndiza Mshini for great examples) and Lucky Monama’s precision drumming, gelling together the sound of the band. In addition to these guys who so vividly formed the core of the Makhona Tsohle Band, there is the clear presence of bassist James Mukwevho on various tracks in the ‘mabone’ series, guitarists Christian Nombewu and Marubini Jagome, accordionist Delford Ngcemu, violinist Noise Khanyile (on Two Mabone and Five Mabone) and sax jive stars West Nkosi, Christopher Songxaka, Reggie Msomi, Elias Lerole (Lerole under the group name Amaphikankani) and Shadrack Piliso (a harmony expert and assistant producer whose ear for detail proved a vital part of the backbone of Mavuthela). Last but by no means least, groaner extraordinaire Simon Mahlathini Nkabinde is a special guest vocalist on two tracks: Baya Biza Ekhaya and Sithunyiwe Thokozile. 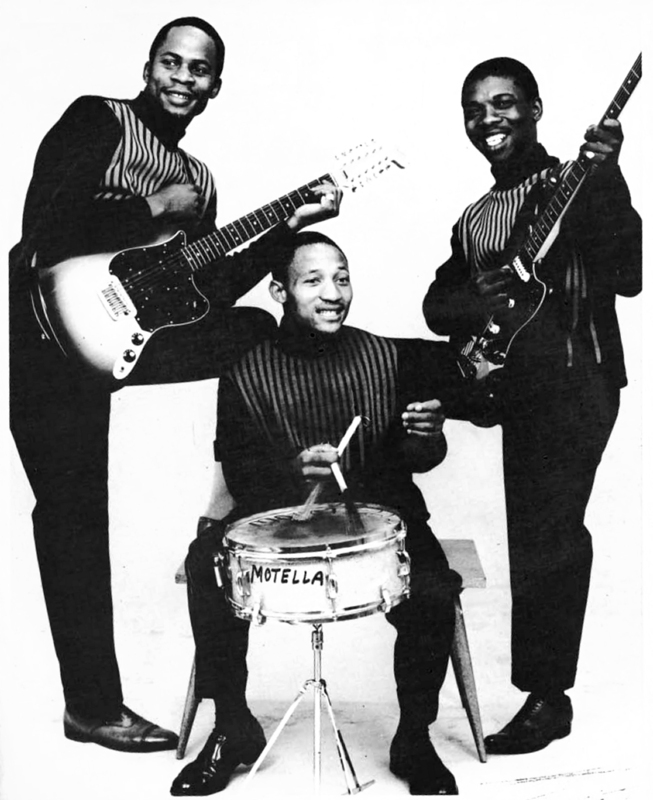 The latter was a tune originally recorded by himself and the Mahotella Queens in 1966. The version included in this compilation, recorded a year later, was a 'follow-up' to the original. A moderate history of mbaqanga can be revealed from listening to these tracks. From the early, rough jive as heard in Unana No. 2, through to the tight-knitted sound of Ndiza Mshini, Marabi Sideways and the spotlight number of this collection, Jive Smodern Jive B 5. The growing influence of the USA is clearly heard in the soul-driven numbers The Rock, Hard Way Up and Evil Ways, while the bump jive fad makes its presence felt in Crazy Bump and Tsikiza Jive. Also not to be missed is the 'mabone' craze of '73 to '74 - represented here are Two, Four, Five and Six Mabone, all of them containing the hard driving beat that personified that craze. All thirty tracks, digitised from several 78 and 45 rpm recordings, were originally released on the “Motella”, “Gumba Gumba”, “New Sound”, “Gallo-USA”, “Smanje Manje”, “C.T.C. 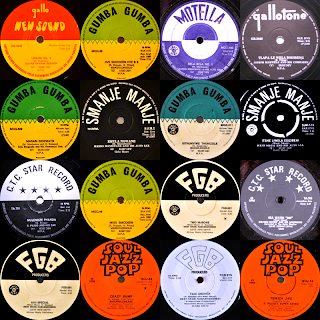 Star Record”, “F.G.B.” and “Soul Jazz Pop” record labels between 1965 and 1975. A huge thank-you must go to fellow ElectricJivers Chris Albertyn, who contributed three tracks including Joseph Makwela's fantastic Matamato Jive Matamato, and Siemon Allen, who contributed six tunes including West Nkosi's classic Marabi Bell. Load this compilation into iTunes or add it onto your iPod and get ready to listen to the real deal. In the words of the formidable Mavuthela boss Rupert Bopape in his intro to Two Mabone, this music definitely is “something wonderful”. 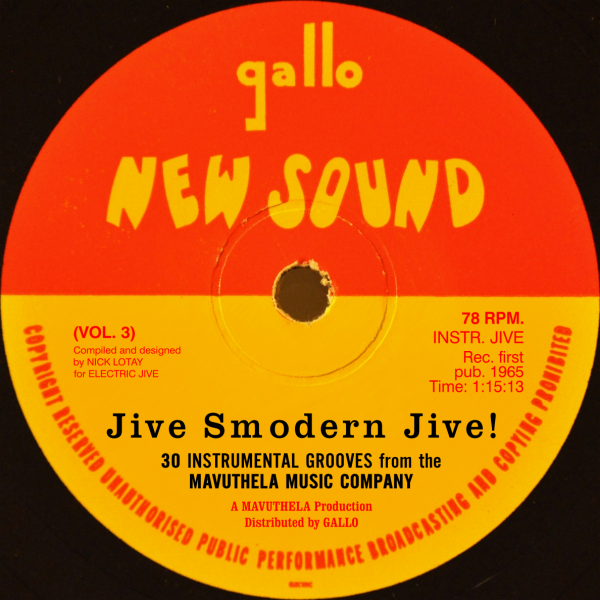 This is Jive Smodern Jive! - enjoy! Goodness, gracious, great balls of fire! Aaaahhhh, a gift from heaven! Thank you! Great Music indeed! Would you you split the file to two so we can merge it on our side? It's too big for some of us. Thanks for the very rare music. Is there any chance someone could post the original compilation, Mavuthela - Sound of the Sixities? Unfortunately, I missed the opportunity to download Nick's first goldmine and haven't been able to track this down. The others are just phenomenal! Dan I feel you man, looks like I missed out on this comp! If you'd be so kind as to send me a copy, I'd be happy to offer you "sound of the sixties"
Many many thanks to the sharers of these wonderful treasures btw! I'd must say though I don't understand how arbitrarily limiting the amount of people you allow to hear them does justice to this "music that doesn’t deserve to be locked up in a dusty archive…". Is it just me or does this seem a bit contradictory? I understand your argument against removing the download links, but as you may know, we do not hold the copyright to the music we share. 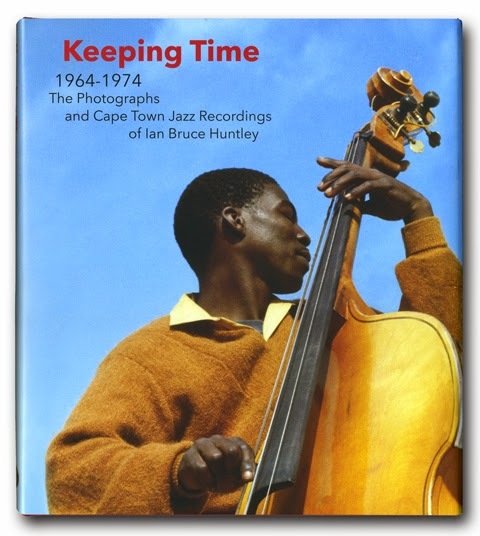 Although we focus on music that has long been out of print, big organisations like Gallo and EMI still retain the rights to the works and we have to tread carefully as far as these "big" compilations of thirty (or more) tracks go... and along the way, we have befriended a few of the still-living musicians who contributed to the recordings we share, so we must take any of their personal feelings about "sharing" into consideration - particularly as they probably never received royalties on the initial release of this music, just a flat recording fee. For this reason, I insist upon removing the download link of the last Mavuthela Music compilation every time I compile and share a new volume. I only hope those of you who missed out on the first three volumes can enjoy the wonderful music I collated for the fourth Mavuthela compilation, "Christmas Jive"... 35 wonderful examples of classic vocal and instrumental mbaqanga. BTW - the "dusty archives" generally refer to those in the bowels of the Gallo building in Johannesburg, where thousands of recordings covering almost all SA's musical history lay in the hands of staff who don't have an interest in it (since the retirement of manager Rob Allingham a few years ago). How can any "official" retrospective project on artists who were contracted to the organisation for their entire careers come together with any ease if the archive staff say they "can't find the masters"...? Sorry to go off on this tangent! I too feel very despondent at missing out on this download but I entirely understand Nick's comments. I'd gladly pay to hear this stuff but the problem is it's not available to buy! Gallo must be sat on a vertible treasure trove of recordings. What a shame they'll probably never see the light of day in our lifetimes. Wow I wish this compilation and the prior 2 volumes were still avail. I'm really digging the instrumental jive from this period. Much Respect for an amazing website.